No-one will be expecting a beginner to have their own horse. The vast majority of riding schools will lend you a horse or rent one out to you on a longer term loan. This is the ideal solution for those wishing to learn to ride but there are a few things to bear in mind. You will either be able to borrow a horse for each individual lesson or for a fixed period of time. If you rent by the month, you will always be able to ensure your favoured horse is available for your lesson, although it may be more expensive. Horses which are rented out to beginners should all share some common traits. They should be well behaved and used to riders, especially novices who may not be sure what they are doing. But, all horses, even the calm and well-behaved ones, have their own personalities, just like people. If you do not like the horse you have borrowed you should ask to try another one which may suit you better. This will give you good experience if you later decide to buy your own horse as it will teach you what suits you in a horse and what sort of horse you suit yourself. But do not be surprised if the characteristics which you like in a horse change the more experienced you get. This is where borrowing a horse is a particularly good idea as you will be able to change your horse for one which suits you at each stage of your riding development. As you become more experienced and less fearful, you will probably not want a placid and timid horse, but may want one which is a bit more daring. Borrowing makes this exchange easy. The horse will need insurance whether you are renting it or own it. The difference will be who is paying for it. 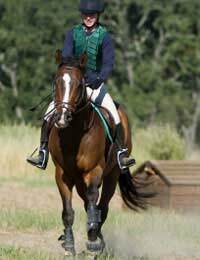 The riding school may cover the insurance of a borrowed horse themselves or they may add on a premium in the cost of your rental. It may be up to you to find insurance yourself and pay for it. Whatever the case, make sure you are clear on the terms of the insurance before you mount for the first time. If you are borrowing or renting a horse for a longer period of time than just individual lessons, you should make sure the terms have been put down clearly; this will include who can ride the horse and what it can be used for. Whatever length of rental, you should check whether tack is included too, especially before you invest in anything. It may be that you are not expected to provide anything or the school lending you the horse may also lend you the tack. It is always worthwhile to check. Getting the right horse when you start to ride could be vital for your future enjoyment of riding. If the horse does not suit, do not be afraid to speak up and change it – although never be put off straightaway if you are given a horse which looks too big or too frisky – most schools know how to match horses to learner riders well. If you are renting or borrowing a horse on a lesson by lesson basis, it may be worth paying up front to ensure you horse is available each time. With children especially, it can be a big disappointment if their favourite horse is in use by someone else when they arrive for their lesson. Above all, never forget that riding is a partnership between rider and horse. This is why it is so important to match the two perfectly – the better the match, the better the team.